Nationally, about 1 in 11 children have asthma, but in some low-income areas of New York City, the childhood asthma rate can be upwards of 1 in 4, causing students to miss school and families to incur expensive medical bills. High indoor levels of pollutants (mold, pests, pesticides, etc.) directly contribute to the high prevalence of asthma in the city. Indoor levels of pollutants can be 2 to 5 times higher than outdoor pollutant levels. 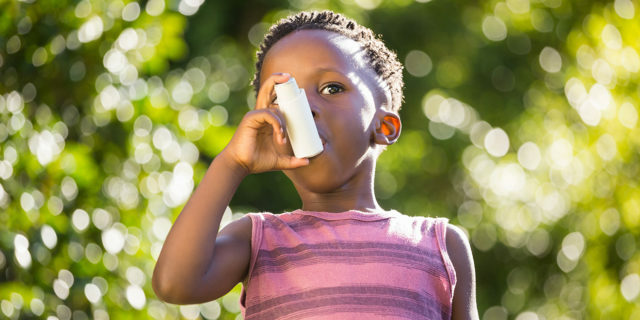 In 2016, WE ACT and members of the Coalition for Asthma Free Homes created a prescription to address asthma and asthma disparities: the Asthma-Free Housing Act. Asthma is an environmental disease characterized by chronic lung inflammation and episodes of airway constriction. Know the facts.